After the CFG meet back in June I had not been to Kebab Street, a restaurant which was very close to my home. But now suddenly, it has become my favorite. On my previous few visits to the place I had not carried my trust cam along with me to click pictures. This time around I made sure that I had it with me. My bro, his friend and I set out for dinner to Kebab Street yesterday. We entered the place around 9ish. The restaurant was mostly vacant with just a few people waiting for their take aways. As I have already mentioned in my earlier post on how they operate, I am going directly to talk about the food. 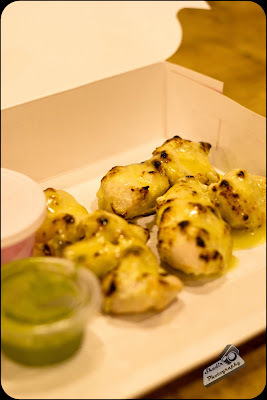 We placed an order for a Cheesy Malai Kebab, Stuffed Tangri Chicken and the Shawarma combo each. The Cheese Malai Kebab was the 1st to reach our table. It was a proper, well cooked, super soft malai kebab with a drizzle of cheese on the chicken pieces. A little bit more of the cheese would have been even better, but then it is just my opinion. 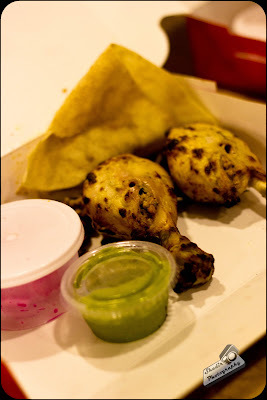 The Stuffed Tangri Kebab is in an another league all together. Chicken drumstick stuffed with Chicken Keema, served along with a soft roti. Tastes just delicious. It felt much better than on my 1st visit here. Finally the Shawarma Combo. 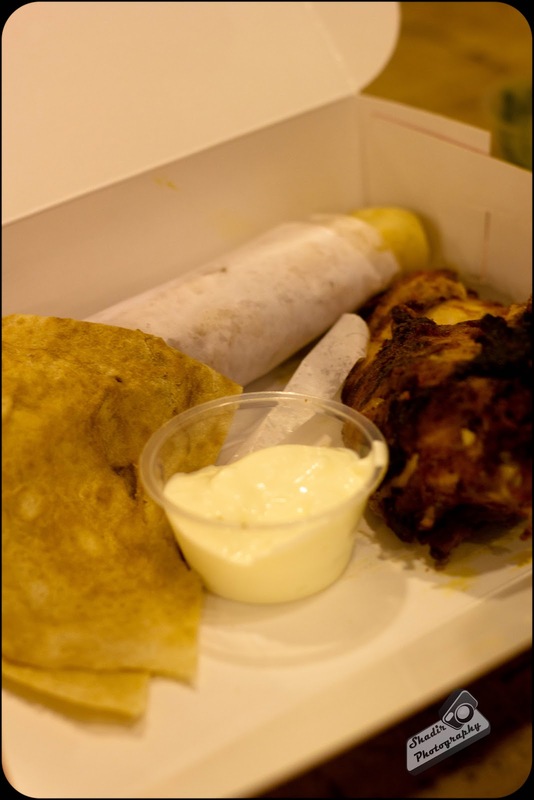 This combo has a piece of grilled chicken, served along with roti and mayo and an heavenly shawarma. The shawarma here may not be thick and heavily loaded as the ones we get at other joints. But this thin long gooey centered shawarma is lip smacking. One of the main reasons for this fantastic taste is primarily to the soft roti used. A person with a decent appetite will be able to gobble down two of these with ease. The Grilled chicken served here is a little different again, when compared to other restaurants. While most of the places have a peppery spicy feel to the chicken, this has a chili spicy feel to it. A little different but the taste is quite brilliant. When consumed along with the roti and mayo, the taste is up by a few notches. To round up the delicious dinner, we chose to have Phirni. The phirni was a little low on sugar, making it a bland dessert. Not a great way to end the dinner, but then since the rest of the dishes were spot on we overlooked that. The taste of the food served here has taken the route up the ladder since my first visit here. The ambiance at the restaurant is very modern and good to dine in. But this is no fine dinning restaurant, so do not expect outrageous levels of comfort. Since this restaurant works in a semi self service concept, you will not have an annoying waiter standing near you to disturb you. The meal for 3 cost us Rs 990/-. which is good value considering the food is in par with most fine dinning restaurants. The menu here is very limited, so this might put off a few people. But then, they are good at what they have mentioned on the menu, so this works as a plus. So if you guys are in mood for some juicy kebabs and delicious shawarmas, do try this joint.